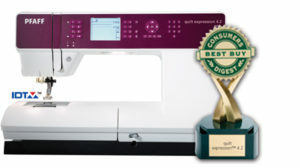 Pfaff Creative Icon Sewing and Embroidery Machine: Our most advanced machine combines our legacy of maximum precision with every best-in-class feature you demand. The result is a feat of technological excellence destined to exceed the aspirations of today’s sewing, quilting and embroidery artisans. 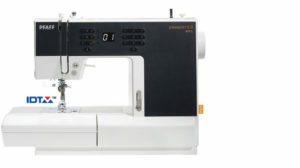 Pfaff Creative 4.5 Sewing and Embroidery Machine: This sewing and embroidery machine offers a range of impressive features and creative possibilities, as well as an incredible diversity of designs. 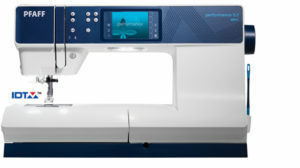 Pfaff Creative 3.0 Sewing and Embroidery Machine: The advanced capabilities of this sewing and embroidery machine will bring out the designer in you. Wherever your imagination takes you, the results are always perfect! Pfaff Creative 1.5 Sewing and Embroidery Machine: This sewing and embroidery machine delivers fabulous possibilities for a fabulous price. Pfaff Performance 5.2 Sewing Machine: Features technology that understands your passion for sewing and will to take your skills to the next level. Pfaff Quilt Expression 4.2 Sewing Machine: Realize how exciting modern quilting can be. Exceptional quilting features are just waiting to be discovered. 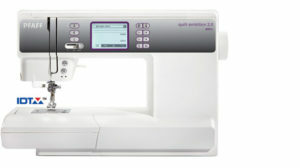 Pfaff Quilt Ambition 2.0 Sewing Machine: A sewing machine that offers great oportunities for professional quilting. 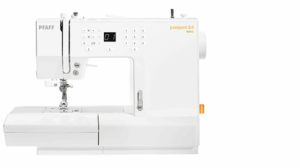 Pfaff Ambition Essential Sewing Machine: The sewing comfort and perfection you need in a modern sewing machine. Pfaff Passport 3.0 Sewing Machine: Perfectly convenient for small spaces and going places. The new passport™ 3.0 sewing machine. Pfaff Passport 2.0 Sewing Machine: Whether you are seeking a sewing machine for a small space or one perfectly designed for travel and classes – this is it. Pfaff Coverlock 4.0 Overlock Serger: Are you looking for the overlock machine that has everything? 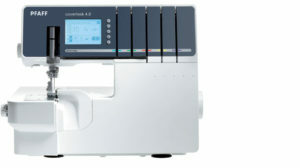 This machine offers all the features for perfection and creativity plus even more sophisticated extras.